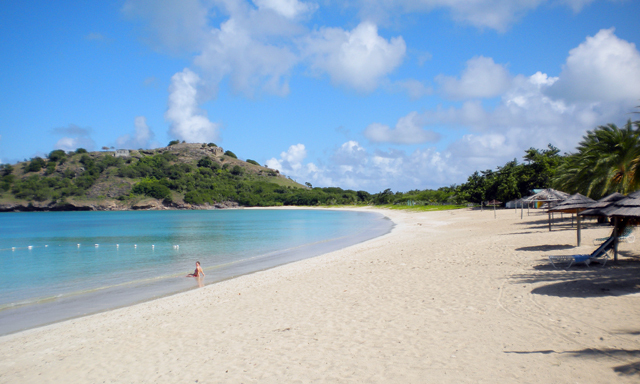 Overview: Set sail on the “Mystic” to explore Antigua’s beautiful coast, turquoise waters and famous white-sand beaches. Cruise past boutique resorts, elegant homes and lush tropical foliage, stopping at two beaches where you can swim in warm waters or relax under a palm tree. The crew fires up the grill onboard for a buffet lobster lunch with champagne. An open bar and Caribbean music create a fun ambience as you sail back to St. John’s. Highlights: Scenic Cruise: Enjoy soft tropical breezes and Antigua’s lush scenery, plus open bar and island music on the return. Beach Breaks: Swim in the warm turquoise waters and relax under a palm at two white-sand beaches. Buffet Lunch: The crew serves up freshly grilled lobster and more onboard, along with a glass of champagne. Tagged Catamaran Cruise, excursion, Lobster, Lunch.